He's burly, Brazilian and a genuine goal-scorer. No, this isn't an homage to old thunder thighs Ronaldo. Instead, please be upstanding for Hannover striker Jonathas. With three goals and as many assists in six Bundesliga appearances since moving to the HDI-Arena from Rubin Kazan in the summer, the 29-year-old journeyman is making all the right noises – but for how long? "After playing for a lot of clubs so far in my career, I'd like to settle in Hannover," Jonathas told Bild recently. "Hannover 96 is a like a family, and that's important if you want to achieve your goals. The welcome and help you get here is like it is back in Brazil. It's the first time in my career I've experienced that. I really want to honour my contract." He must be happy. Jonathas joined Hannover with a CV as long as his arm – ten different clubs and not a single stay outlasting two seasons – but don't let that cloud your judgement. His is not merely a tale of the mercurial nomad travelling the world, chasing fame and fortune. There is more to it than that. "My parents couldn't afford to raise me," Jonathas said candidly. "They already had seven kids to look after, so they had me adopted. I accept why they did it. If I hadn't been adopted, I wouldn't be where I am today. In fact, it was my foster mother who got me into football. I liked nothing better than playing street football." With the talent to match the passion, Jonathas soon outgrew the back alleys of Belo Horizonte. He joined Cruzeiro in his late teens – striking up an unlikely and career-shaping bond with Stuttgart and Bayern Munich legend Giovane Elber. "There's not much to say about him: Giovane was a sensational striker," Jonathas told bundesliga.com. "I was 17, 18 – he was nearly 20 years older than me. It was like a father-son relationship. He gave me career tips and took me under his wing. I'm very happy to be compared to him." Who wouldn’t be? Elber plundered 133 goals in 260 Bundesliga appearances, winning four league titles along the way, and is widely regarded as the best Brazilian to have graced Germany's top flight. They are dizzy career heights Jonathas may never reach, even if he has hit Bundesliga ground running. "I was nervous about the game, but then I scored with my first touch," Jonathas recalled of his debut strike against Schalke on Matchday 2. "The goal was important for me, for my confidence, for the team and the fans. I want to enjoy my time here and give the whole of Hanover something to celebrate." 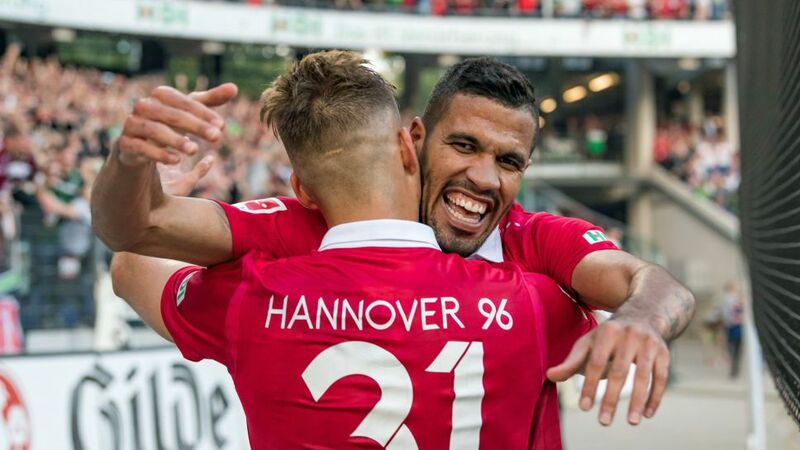 With two further efforts coming in the barnstorming win over Borussia Dortmund and the narrow defeat to RB Leipzig – as well as three assists – Jonathas is doing a stellar job of endearing himself to the Hannover faithful. And while it is still very early days, this could be the start of a very beautiful friendship. Click here for more Hannover news, views and features!